Sameena is an award - winning scientist with a Phd in Machine Learning from IIT Delhi. Her expertise lies in bringing disparate data sets together, creating large-scale models and deriving intuitive and innovative insights. 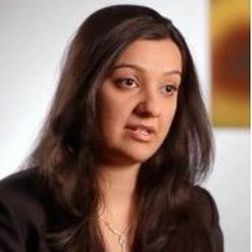 Sameena holds several patents, has published about 20 papers, and is on the review panel of major computer science journals and conferences. At CocoaCompassion, Sameena leverages her data analytics background to envision, and create analytics focused on the cocoa supply chain.